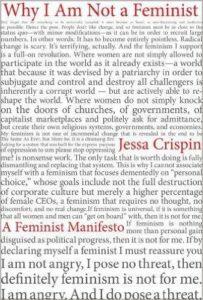 Bookslut founder Jessa Crispin rejoins the show to talk about her new book, Why I Am Not A Feminist: A Feminist Manifesto (Melville House), while I gripe over the fact that it’s the third book she’s published since we recorded in 2014. We also get into learning to stop reading reviews, the aftereffects of carrying her belongings on her back for 18 months, the black magic revival and her experience as a tarot card reader, her detachment from NYC publishing culture, her fascination for Catholicism and female saints, falling in love with opera, never quite getting over the core guilt of her Protestant upbringing, and why she won’t leave the US for good and won’t write about expat Paris! Give it a listen! And go buy Why I Am Not A Feminist: A Feminist Manifesto ! Jessa Crispin is the founder and editor of the magazines Bookslut.com and Spoliamag.com. She is the author of The Dead Ladies Project: Exiles, Expats, and Ex-Countries , published by The University of Chicago Press, and The Creative Tarot: A Modern Guide to an Inspired Life , published by Touchstone. She has written for many publications, some of which are still in existence. She has lived in Kansas, Texas, Chicago, Ireland, Berlin, among other places. She currently lives nowhere in particular. Her newest book is Why I Am Not A Feminist: A Feminist Manifesto (Melville House). Credits: This episode’s music is Nothing’s Gonna Bring Me Down by David Baerwald, used with permission from the artist. The conversation was recorded at Ms. Crispin’s home on a pair of Blue enCORE 200 Microphones feeding into a Zoom H5 digital recorder. I recorded the intro and outro on a Heil PR-40 Dynamic Studio Recording Microphone feeding into a Cloudlifter CL-1 and a Mackie Onyx Blackjack 2×2 USB Recording Interface . All processing and editing done in Adobe Audition CC . Photo of Ms. Crispin by me. It’s on my instagram.